So what is a dairy-free probiotic beverage? Well in the case of GrainDrops, I would call it drinkable yogurt. Powered by Koji – Koji is the artisan Japanese culturing process. Koji is created in small batches over a slow 2-day process with whole grains and 100% natural enzymes (no chemicals). 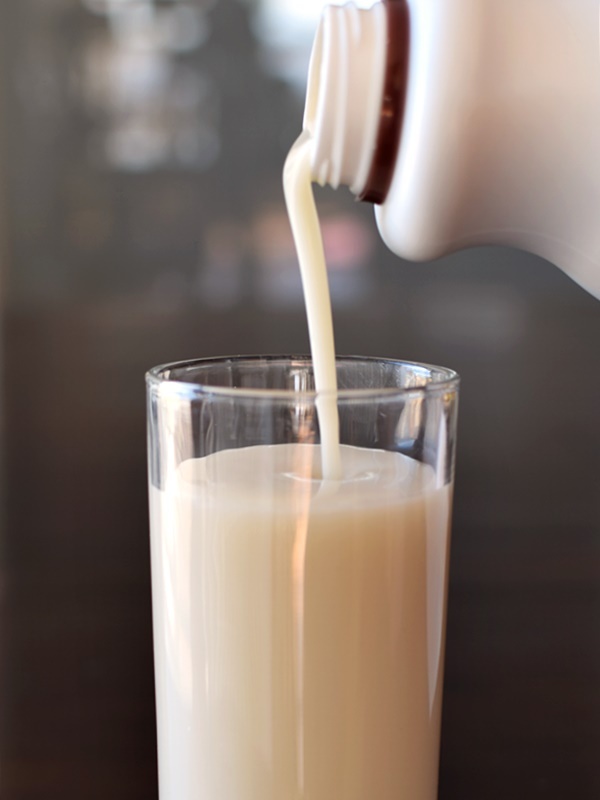 In other words, they use the purest ingredients and methods possible to culture the healthy bacteria in GrainDrops dairy-free probiotic beverage. Triple-Cultured – Step one is cultivating the Koji using Biodynamic rice. Step two is adding the Koji to their recipe of five gluten-free organic whole grains and culturing it until it is fully liquid and naturally sweet. Step three is balancing the texture and flavor. The result of their efforts pours out into a thick, yet drinkable beverage that speaks to traditional yogurt lovers. I admit that yogurt isn’t my passion, and if I do consume it, I tend to prefer thick, spoonable varieties. Yet, this clean testing product with just the right amount of sweetness and tang has a smooth consistency that doesn’t shout “dairy-free” as so many vegan yogurts do. It’s also pretty darn tasty in smoothies. Thus far, I’ve only sampled the Original. But GrainDrops dairy-free probiotic beverage also comes in Wild Blueberry and Mango Ginger flavors. 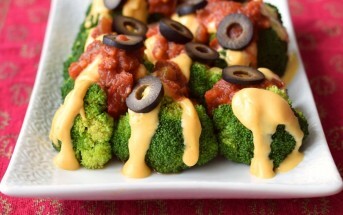 In terms of nutrition, each serving contains 20 billion live cultures! Plus some prebiotic fibers (from grains and inulin) to feed their goodness. It is also low in fat (just 1 gram), has a fair amount of fiber and protein (3 grams each), and hits the sweetness factor just right. Although, it is surprisingly high in sugars (16 grams in the Original; 25 grams in the fruity flavors). I say surprisingly, as the only added sweetener in the Original GrainDrops dairy-free probiotic beverage is blue agave syrup, and it isn’t that high on the ingredient list. So I’m guessing that most of the sugars come from the grains themselves. 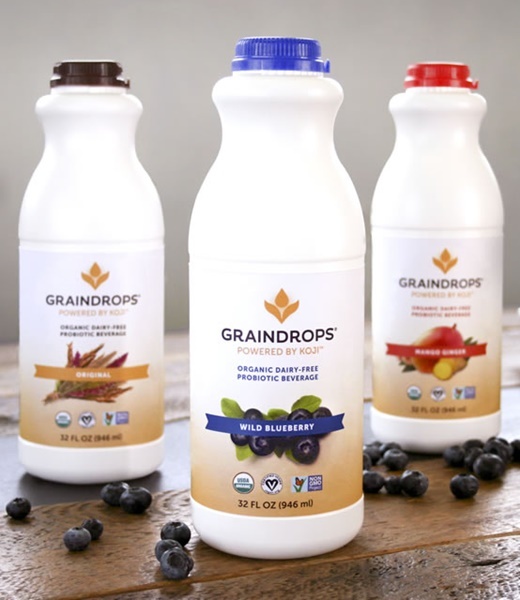 Certifications: GrainDrops Dairy-Free Probiotic Beverage is Certified Organic, Certified Vegan, and Non-GMO Verified. 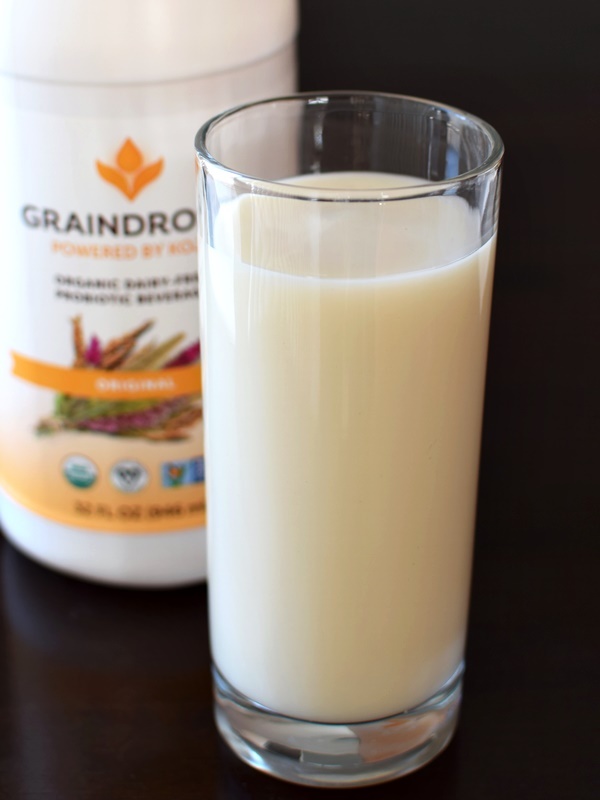 Dietary Notes: By ingredients, GrainDrops Dairy-Free Probiotic Beverage is dairy-free / non-dairy, egg-free, gluten-free, nut-free, peanut-free, soy-free, vegan / plant-based, and vegetarian. Nonetheless, verify on the label and check with the company on their manufacturing processes for all varieties if potential allergen cross-contamination is an issue for you. Processes, ingredients, and labeling are subject to change at any time for any company / product. 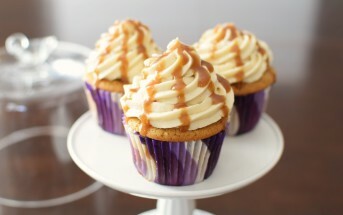 For More Product Information: Visit the GrainDrops website at www.graindrops.com. Both the production and result of this drinkable yogurt speaks to tradition. The company uses simple, pure ingredients and slow, sustainable processes to create a clean-testing product with just the right amount of sweetness and tang, and a smooth consistency that doesn’t shout “dairy-free” as so many vegan yogurts do. 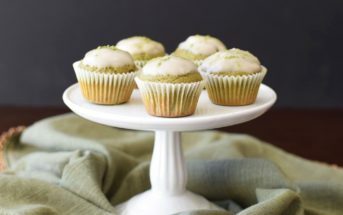 But note that the cultured grains do result in higher sugars. It tastes really great although it has 25 grams of sugar per 8 ounces…I consider it a treat when drinking it cause it’s very tasty plus I’m getting all those probiotics. Hi Donna, it wouldn’t be recommended for two reasons: 1) cooking the probiotic drink will kill the healthy bacteria off making it just an expensive half and half! 2) it isn’t as rich as cream.